In this section I feature images along with my own personal short stories behind them. I have found that travel narrative offers the best yarns, especially while visiting foreign lands. MEET ‘Boris’, pictured left, and Dimitri, local lads from Vladivostok's Russky Island. During Soviet times Russky Island, like all of Vladivostok, was locked down under tight security, being the naval base of the USSR’s Pacific fleet. I boarded a car ferry and upon arrival at the island's dock saw three partying youths come aboard. It was Dimitri's birthday and the party, thanks to cheap Russian beer, was well under way! Despite my efforts to blend in with the locals dressed in my black leather jacket and cap, Dimitri came straight up to me and said ‘I wont to pratiss my Engelish on you!’ Boris, a name I gave him in lieu of not knowing his real one, couldn't speak any English and Anton, a graduate from the Far East University, loved to chat, but didn't want to be photographed. With me as a willing linguistic guinea pig and their rising alcohol levels, the voyage back was interesting to say the least! Conversation topics ranged from sharing a brew (or several dozen) with them to real concerns about North Korea's nuclear test, just a few days before. Russky Island is part of an archipelago that stretches southwards towards the Korean peninsula. AS the horse originated from Central Asia, I found it fitting to have a ride across the legendary Mongolian Steppe. 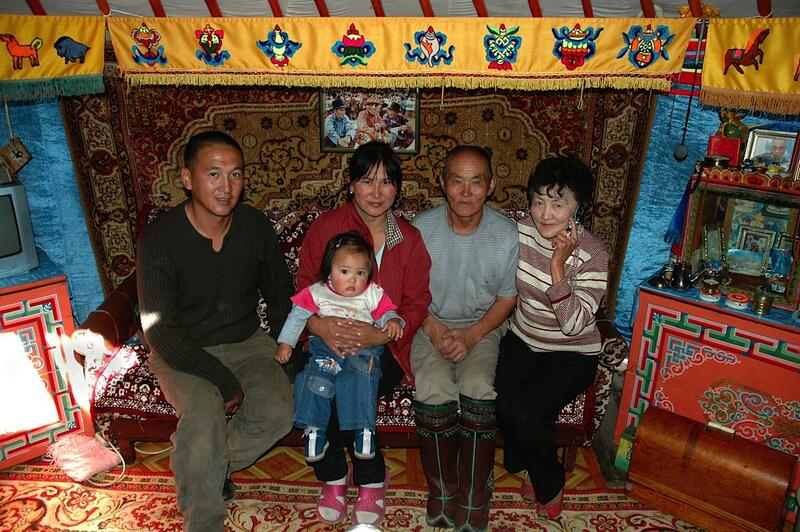 I hired a local man’s pint sized ‘horse’ for an hour and upon return was ushered into his family’s ger (round tent-like home) for morning tea. After enjoying an array of biscuits, tea and tasty fermented mare’s milk, it was bargaining time! I expressed interest in a coat, know in this part of the world as a ‘dell’ and the negotiations were on. To cut an hour-long story short, I managed to get the price down from 120,000 tugrik (around $A140 in 2006) to $US53. CECIL BEATON once wrote . . . ‘I discovered that the marvels of the Pyramids at Gizeh and the Sphinx had been degraded into commodities for an enormous tourist trade’ . . . What would history’s most famous photographer have thought of these images of the Giza Sound and Light Show? Touristy kitsch all the way . 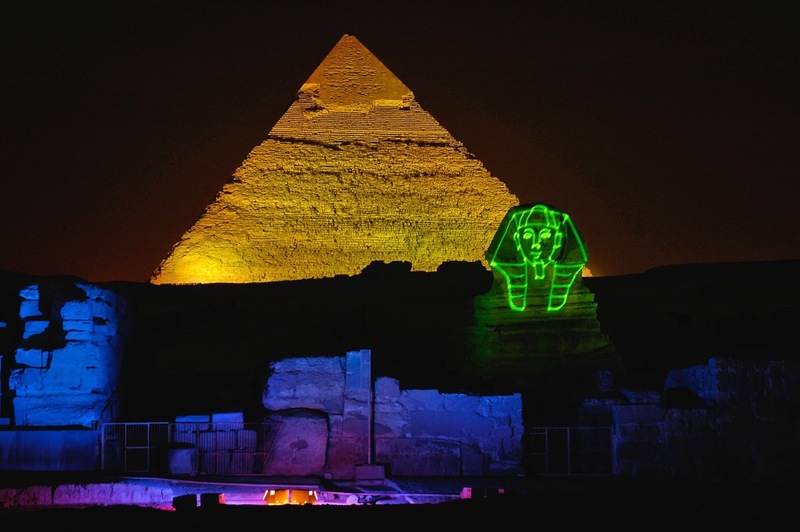 . . from the Pharaonic soldiers playing Verdi’s famous march from Aida on bagpipes through to green laser light on the Sphinx’s face, pictured above. The show also graced us with the Pharaoh Khafre’s image, while all the time flooding the plateau with colourful luminosity and Hollywood-style music underscoring dramatic dialogue. All in all, it was a lot of fun! The best part was not being hassled by local merchants selling souvenirs and enjoying the monuments without having to walk around in the intense heat of the day.